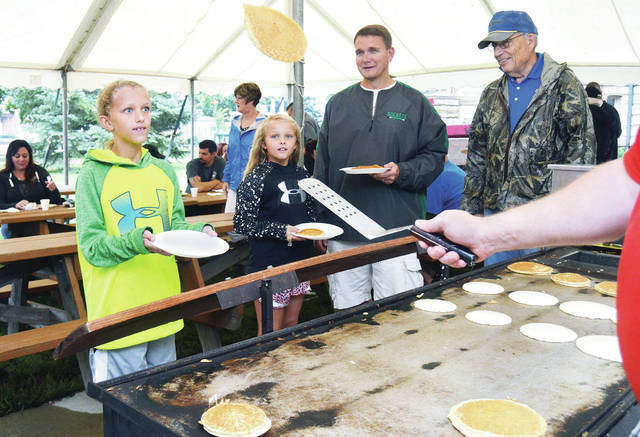 Dana Pleiman, 11, left to right, waits to catch a pancake, as her sister, Eva Pleiman, 9, and their father, Jeff Pleiman, all of Anna, and Roger Mowery, of Sidney, watch. Flipping the pancake is Matt Block, of Lewis Center, of Chris Cakes. The Sidney Rotary Club’s pancake breakfast was on the courtsquare, Saturday, Sept. 9. Sausage and apples were also served. The girls are also the children of Jenny Pleiman. 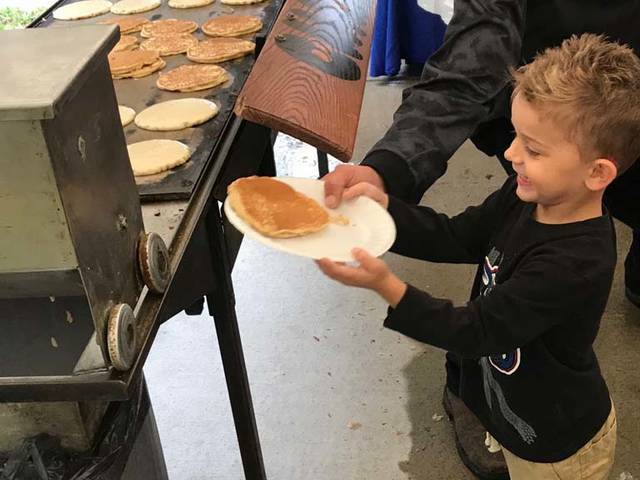 Ryan Gerstner, 4, son of Danielle and Rick Gerstner, of Botkins, is delighted to catch a pancake at the Sidney Rotary Club’s pancake breakfast on the courtsquare in downtown Sidney, Saturday, Sept. 8.